The Ellinor String Quartet was formed in 2017 by Puget Sound-area violinists Li-Ling Liao and Christopher Lin, violist Rafael H. Howell-Flores, and cellist Janice Ching-Jung Lee. Ellinor’s mission is to bring classical music of the highest caliber to diverse communities throughout Greater Seattle through accessible performances in intimate neighborhood spaces, from public schools and libraries to local churches. The quartet takes its name from Mount Ellinor, a stunning peak in the nearby Olympic Mountains. 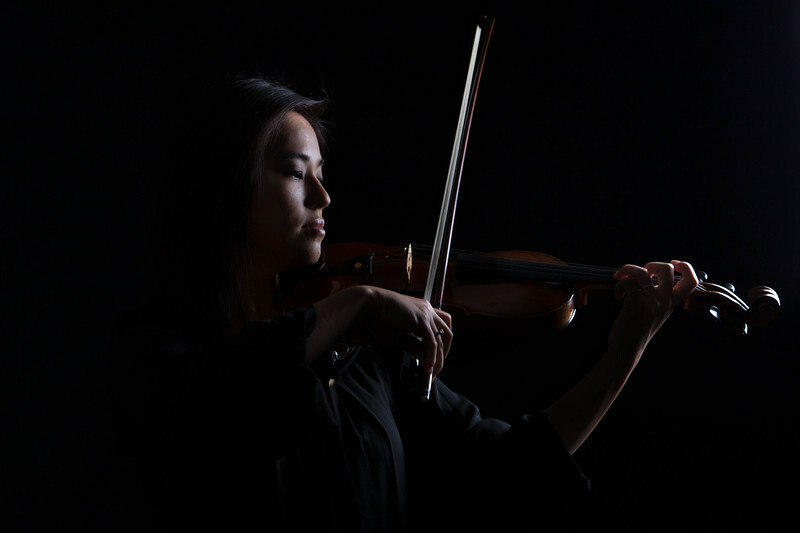 Taiwanese-American violinist Li-Ling Liao studied at the Lucerne Conservatory in Switzerland with Daniel Dodds, the Boston Conservatory with Lynn Chang, and the New England Conservatory under James Buswell IV and the legendary pedagogue Eric Rosenblith. Ms. Liao completed her violin studies with a Doctoral degree from the University of Maryland under the tutelage of Dr. James Stern. Ms. Liao has appeared as a soloist with the Vancouver Philharmonic Orchestra, the Dallas American Asian Youth Orchestra, the Taipei Century Symphony, and the Taipei Century Youth Orchestra. Ms. Liao is currently assistant concertmaster of the Vancouver Island Symphony, a member of the Symphony Tacoma, and has performed with the Vancouver Symphony Orchestra in B. C., and the Tacoma City Ballet . As a chamber musician, Ms. Liao was a member of the Pacific Rim String Quartet, has performed throughout the New England area with the International Musical Arts Institute, and has toured Taiwan as a member of the Adymus Piano Trio. 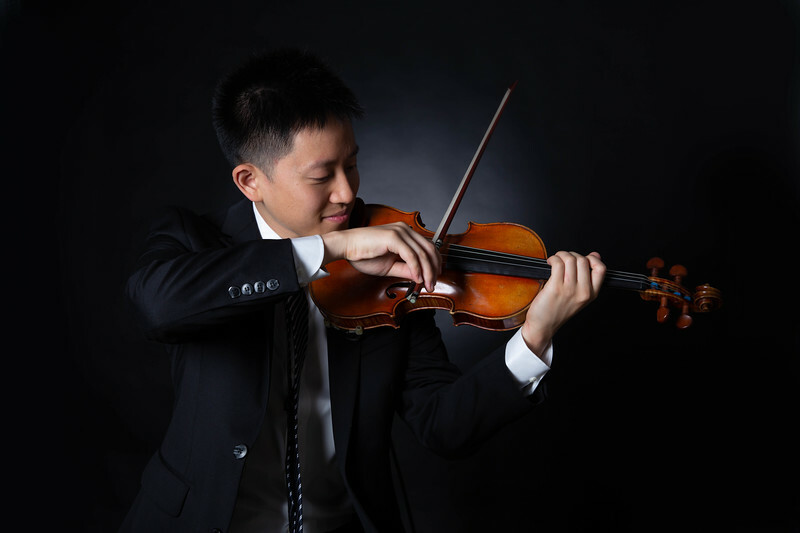 Chris Lin started the violin at age 4, and the piano at age 5. He studied with Daniel Kobialka, former principal second of the San Francisco Symphony, and currently freelances with several ensembles in greater Seattle. He has served as the Associate Concertmaster of the Seattle Philharmonic Orchestra, and regularly performs with the Federal Way Symphony, the Lake Washington Symphony Orchestra, Lyric Opera Northwest, and the Tacoma City Ballet. In his youth, he has won first prizes at the Southwestern Youth Music Festival, performed with the National Festival Orchestra under Benjamin Zander at Carnegie Hall, and served as concertmaster and associate concertmaster of all-California and all-national youth orchestras. Chris received his PhD from the University of Washington and his BA from UC Berkeley. Rafael was born in San Jose, Costa Rica. He started his musical studies at Conservatorio de Castella where he earned his high school diploma and an honorable mention in violin performance. In 2002 he won the Monroe Scholarship to study at Loyola University New Orleans, violin and viola. In 2005 due to hurricane Katrina he got relocated to Albuquerque, New Mexico where he concluded his undergraduate viola performance degree and then earned his Masters in Music Performance at University of New Mexico with Kimberly Fredenburgh. Rafael has played in numerous orchestras and chamber ensembles including The World Orchestra, New Mexico Philharmonic, Santa Fe Symphony, San Juan Symphony, Orquesta Sinfónica Nacional de Costa Rica, Ensamble Tarrazú and The World Orchestra Soloists. 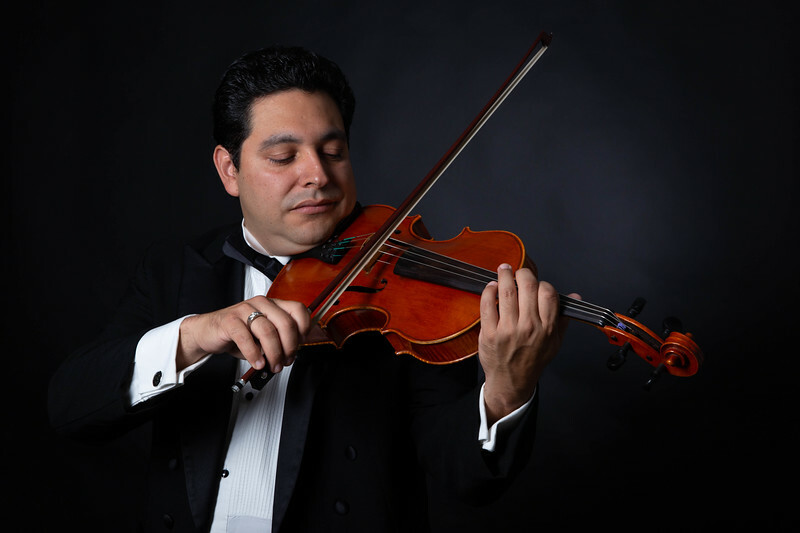 Now established in Seattle, Rafael freelances with different orchestras throughout the Puget Sound, he also has an active violin-viola studio in Issaquah and serves as a violin coach for Bellevue Youth Symphony Orchestra. 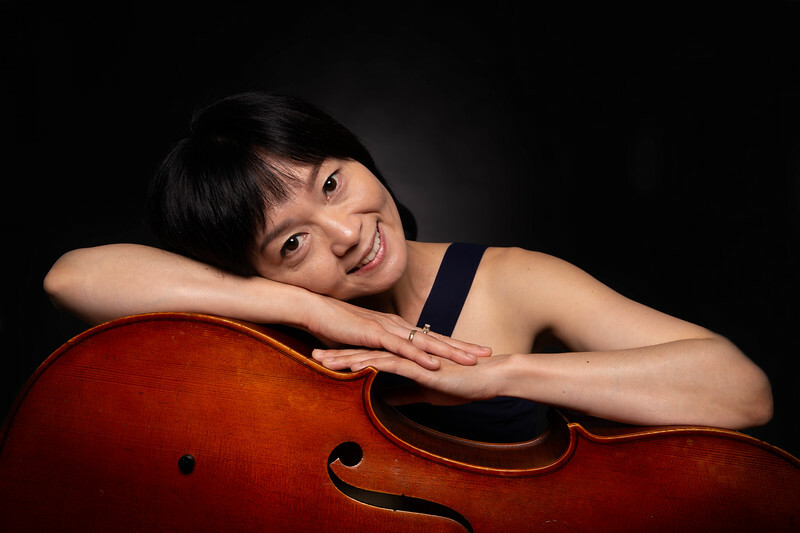 Taiwanese-American cellist Janice Ching-Jung Lee is an active performer and music educator in the greater Seattle area. She is the cellist for the Seattle-based Ellinor String Quartet, plays frequently with the Gilbert and Sullivan Society, Tacoma City Ballet Orchestra, Puget Sound Concert Opera, Seattle Philharmonic Orchestra and many other ensembles. She received her Bachelor’s Degree in Music Education and Cello Performance from the National University of Tainan in Taiwan, and Master’s Degree in Cello Performance from the University of Washington in Seattle under the late Professor Toby Saks. In addition to her cello performing and teaching, she also serves as pianist at Kennydale United Methodist Church in Renton. Janice has been heard in many of the greatest concert halls in north America and Asia, including those in Seattle, WA and Taipei, Taiwan.